Electric Vehicles (EVs) are here to stay. As per the International Energy Agency's (IEA) Global EV Outlook 2018, the total number of electric cars on the road surpassed 3 million worldwide, an expansion of over 50% from 2016. It may seem surprising, but most early EV adoption happened outside of the view of the utilities that supply the power to charge them. This presents both opportunities and challenges for electric utilities around the globe. The climate and air quality goals, and the mandates for reducing CO2 emissions, necessitate that millions of new EVs will hit the roads over the coming years and as per the outlook from IEA, anywhere between 125 - 220 million EV's will be hitting the road by 2030. The question becomes, how will utilities integrate this massive and dynamic increase in daily loads, while maintaining grid stability and ensuring a positive customer experience? 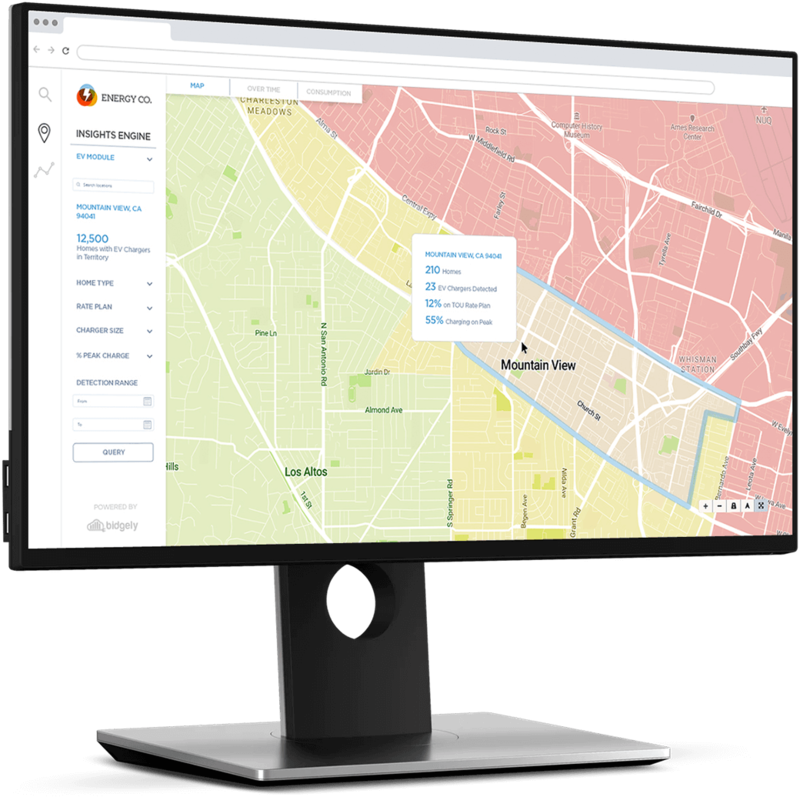 By deploying Bidgely's AI-enabled Insights Engine, the unique load signature of vehicle charging can quickly be detected. Today EV charging is happening on low voltage distribution networks that were not built with EV loads in mind. Most utilities are already challenged by a misalignment between daily system load shape and available capacity. If handled incorrectly, EVs can exacerbate this challenge. Bidgely helps utilities identify who has EVs, balance demand during periods of high supply, while helping customers navigate complex price signals and drive active engagement and optimal customer experience. In the future, automation will be critical. As two-way communications with home charging ports become ubiquitous, utilities will look to enroll an increasing number of EV owners into managed smart charging programs that utilize vehicles as a dispatchable load resource.